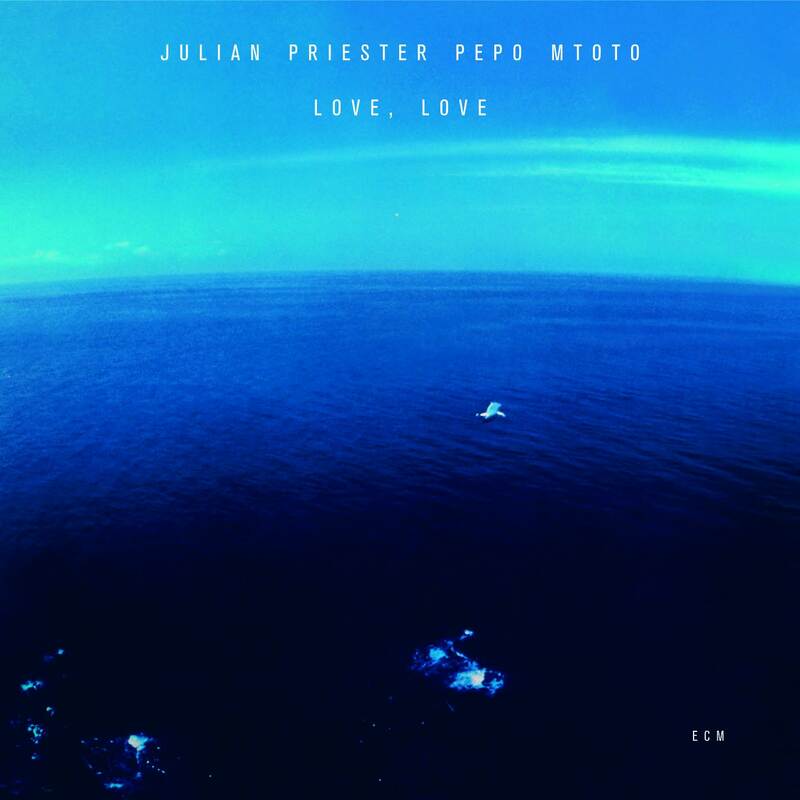 With a title like Love, Love, Julian Priester’s ECM debut could be nothing but a warm embrace, an abstract melodrama lifted from the pages of an epic story. Hot on the heels of Bennie Maupin’s The Jewel in the Lotus, this album gives us more than we might expect and electrifies like a Mwandishi joint sans Herbie Hancock. Between the groovy “Prologue” and brass-laden “Epilogue” lie three interconnected pieces in two 20-minute suites, each a head-nodding peregrination couched in the vibrant expanse that only an ensemble of this size can maintain. Congregations of horns abound in a funky milieu of drums and bass. The spell is immediate and unrelenting, heightened by an elegant application of synths. The late Hadley Caliman captivates with binding contributions to Priester’s own arsenal of raw materials. Guitarist Bill Connors, who would soon explore his acoustic leanings, shines on the electric, at times grazing the upper atmosphere with almost Steve Mackey-like ebullience. The first set ends as it began, fading into an originary space, leaving wisps of energy in the darkening skies. The second set arises from a tangle of sine waves. Drums stand tall like a stone circle, circumscribing the ritual within with rapt skyward attention. An electric piano courses through every gesture of this activity, petering out into a light flute-driven melody that rests confidently at the lower lip of dissonance. A fiery trombone solo from Priester forges an ecstatic peace. Bayete Umbra Zindiko works wonders at the keys, drawing lines from music to listener with every note struck, even as Connors lays a grungy scream of white noise in the face of possible self-destruction. The kinesis builds like a train until each instrument falls to the wayside, if not crushed under wheel by its passage. From this is pulled a thin urban stream of staccato harmonies that derail into a heap of conclusive breaths. The music on this much-needed reissue at once sails through the clouds of its infatuations and plunges into the oceanic expanse of its fears. It knows exactly where it’s going, and hopes that you will be waiting on the other side. i have listened to this title when a friend of mine gave me a recording. I don’t know where he got it. But i know this is not available for sale in my locality. Not very fantastic but still good! For me, this is one of the best ECM records of all time. Beautiful, haunting, liquid, lyrical – here are just a few adjectives that come to my mind right now. Oh yes, a fantastic album indeed, and worthy of every adjective you list. Yes, side 1 is like an album unto itself.